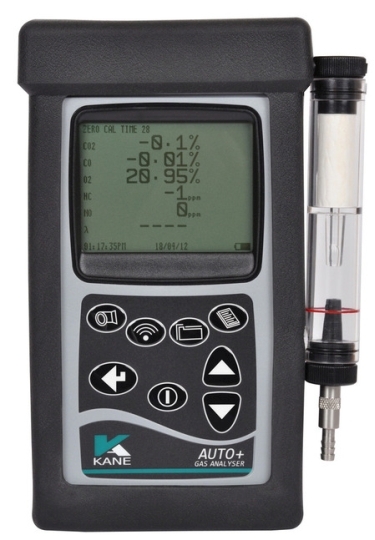 The Kane Auto Plus 4-2 and Auto 5-2 Emission Analysers contain all the benefits and features the users have come to expect from the exhaust gas analysers made by Kane, including a monochrome QVGA display and Bluetooth. The Auto Plus 4-2 measures CO, HC, CO2, O2 & Lambda. The Auto Plus 5-2 also measures NOx. Both of the Auto Plus analysers are portable and handheld. They can be used on petrol/gasoline, LPG, CNG & diesel vehicles. The AC & 12v Power Supply provides up to 4 hours internal battery life. Different languages of users is not a problem with the Kane Auto Plus, as the analyser features multilingual software. The analyser is perfect for Pre-compliance testing, vehicle diagnostics and servicing to manufacturers specification.